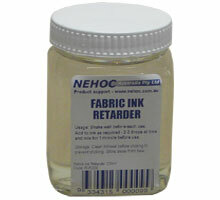 Retarder extends the base of fabric inks by making them 'wetter'/ thinner and more viscous/ workable. 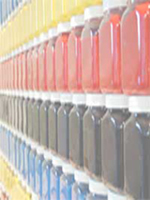 Commonly added to Opaque inks due to their thicker consistency, Retarder stops ink from drying and when added can make ink workable for longer periods of time. 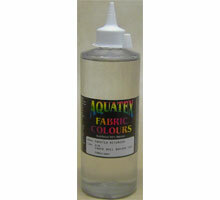 Adding Retarder to inks also increases the drying time of the ink on the t-shirt or garment. Add 1 to 5 drops and stir well. 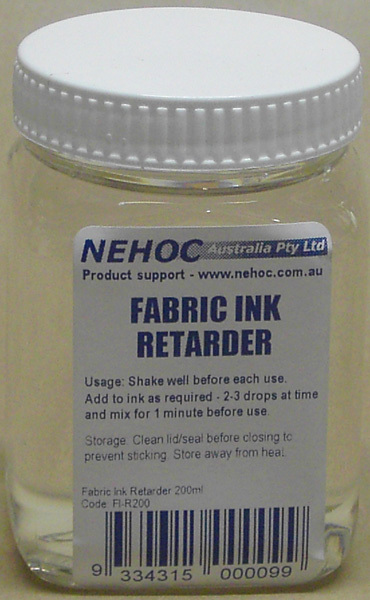 Do not add more than 10% ration to ink volume. Add only until ink is fluid and workable. If too much Table Adhesive is applied, remove excess if not mixed or thicken ink using Thickener before use. FI-R200 - View large image . .
FI-R500 - View large image . .